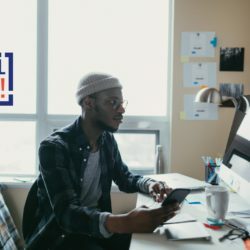 Imagine: your child comes home crying and tells you he/she feels “sexually harassed, intimidated and ridiculed” by their teacher, who called your child a “dumb black b***h” and boasted he “does not care if he gets fired because they are still going to pay him.” Now add to that the fact that the principal already had previous concerns about the teacher. And then…nothing happens. Not a reprimand. Not a referral to the Department of Children and Families (DCF). Nothing. Unfortunately, stories like this are neither hypothetical nor unique in Hartford. This is one of far too many harrowing accounts included in a report released this month about a legacy of child abuse, neglect, cover-ups and mismanagement in Hartford. If you have read the damning report from the State Office of the Child Advocate (OCA), you cannot deny Hartford too often has failed to protect its children, seeming to prioritize the protection of abusive and neglectful adults over the children they victimize. The OCA report, requested by Mayor Luke Bronin and prepared by State Child Advocate Sarah Eagan (previously an attorney directing the Child Abuse Project at the Center for Children’s Advocacy), reveals horrific allegations of child abuse and neglect, aptly termed in Tuesday’s Courant editorial and investigation synopsis as “chilling.” And, far from a comprehensive audit of all Hartford Public Schools (HPS), this report is the result of a ‘sample’ from just 11 schools. Just imagine if it contained a report from all HPS schools. Hartford, we have a problem. It’s past time to deal with it. For a district and city that has adopted a “Student-Centered Learning” approach, this failure to protect goes beyond disingenuous; it is downright shameful. Far from placing students at the center of learning and prioritizing the needs of Hartford children, the OCA report reveals in stark and troubling details that, for over a decade, Hartford students have faced persistent and pervasive threats to their safety due to multiple compound failures by the adults put in place to ensure compliance with current federal, state, local, and municipal laws and district policies and regulations. Moreover, such a persistent and pervasive problem cannot be blamed on isolated bad apples. What started out as an investigation into a single, bad actor within HPS ballooned into a comprehensive indictment of a broad swath of Hartford and State staff. Thirty-seven professionals are identified in State law as mandated reporters of harm towards children. How many know what they ought to be doing? With education being our single-largest municipal commitment, it is distressing to find that Hartford continues to be derelict in its duty to provide quality and safe education for all kids. Now, we must address the fundamental flaws that perfectly design Hartford schools to produce the results they do. This open letter is not intended to rehash the litany of abuses and failures highlighted by the OCA report. Everyone should read it. There is no better way to understand the horrors and the many, many ways in which these horrors could have been prevented, without reading the report yourself. You can access the OCA report here. Achieve Hartford! is focused on getting at the roots of the problem. The foundational problems in Hartford? Culture, governance and accountability. Lasting solutions to culture will not come without bold and dramatic changes to the selection and management of the adults put in charge of our system. There must be an authentic commitment to cultural and system change from top-level Hartford leaders under the purview of – and including – the HPS Superintendent, the Board of Education, and the Mayor. 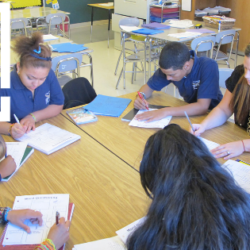 It is time for Hartford’s elected leaders to become Hartford education leaders, with a coordinated operational plan and culture of accountability to drive the city toward aligned actions that best prioritize, support and protect children. As a starting point, Achieve Hartford! stresses the following five things which must be agreed upon by Hartford leaders to remedy current harm from past failures and to change the system and culture that produced the crisis. Stop Pretending: Hartford’s historical and persistent non-compliance with applicable laws, regulations and policies reveals a culture of “Avoid and Protect” that is harming Hartford children in both individual and institutional ways. This is not an isolated incident, and we will never succeed if we don’t start learning from our past. The System is the Problem: We have been here before and will be here again if the system doesn’t change. Ignorance is not an acceptable excuse for failure, whether this means ignorance of the law or of how to best engage diverse and vulnerable students. We will never succeed without a plan to operationalize change – real change management – throughout the system. Transforming Governance is Key: Strong, independent oversight and additional checks and balances are needed to ensure Hartford goes from a culture of compliance to one of accountability (personal and collective). Transforming governance is the key to a lasting solution. The Superintendent Hartford Needs: This crisis has significant implications for the Superintendent search, as only a leader with experience in change management and driving real accountability will do. Leaders at the Top of the Pyramid Must Step Up: Key Hartford leaders (Mayor, Board of Education, and the Superintendent) must step up and lead as education leaders in a bold, coordinated, transparent, and accountable way. While the news of the 2017 OCA report was a profound shock to the conscience of anyone who cares about children in Hartford, yet it should not have been: there is not much “new” in this news. We have been here before, and we will be here again unless we face the reality that is our system. The 2010 OCA/AG report outlined the broad strokes of a legal and regulatory framework governing abuse and neglect in public schools. This three-part protection framework includes “(a) background checks to ensure […] school employees do not have a prior history that disqualifies them from working with children; (b) mandating reporting of child abuse and neglect and investigation of such reports; and (c) code of conduct for school administrators, teachers and other personnel.” When effectively used, each prong of this framework provides tools of oversight and enforcement to protect children. As revealed by the 2017 report from OCA, HPS and city leadership in Hartford have created a system that institutionally and individually leads far too often to unreported and unremedied harm to Hartford children, with students classified as special needs or those labeled as troubled students being most vulnerable of all. On top of those recommendations made within the OCA report, systemic and cultural changes must be made to ensure all students are protected, all adult bad actors are identified and disciplined, and all systemic incentives are aligned in the best interest of kids. Proposed solutions must address the failures in sustainable ways, as the OCA report suggests in its 50-plus recommendations. None are arguable. In Hartford, we need a coordinated municipal approach to confront child abuse and neglect. But first, we need to stop pretending this problem is not systemic. It is. What does a well-functioning system look like? To start, bad apples are rooted out. They are identified and dealt with in a timely manner. Information is shared early and regularly within HPS and with other relevant institutions throughout the city, all with a focus on protecting children. After being contacted by a school administrator regarding emotional abuse of a 13-year old with Tourette’s syndrome – which causes uncontrollable outbursts in the child, DCF learned the teacher had yelled at the boy for 11-minutes straight in the classroom, traumatizing the boy and frightening others. More disturbing still, DCF would come to learn that the same teacher had been investigated by the Hartford Public Schools Labor Relations Department involving another student, but no one had let DCF know. Additional DCF investigations revealed even further that, over the previous decade, while there had been multiple reports to DCF about the teacher, there were even more reports that had gone unreported about the very same teacher – many of which are believed to have been racially motivated. DCF made one or more findings of “program concerns” regarding the teacher – noting the behavior was important enough to flag for HPS, but it took a decade to “substantiate” a claim of emotional abuse and neglect by the teacher before he could be placed on the Central Registry. While the system is full of well-meaning HPS employees “who were caring and vigilant in their attention to student needs and who advocated for their safety and support,” as noted by the 2017 OCA report, the presence of well-intentioned individuals does not automatically translate into a well-functioning system. Moreover, if these well-intentioned individuals are not found in critical decision-making roles to drive accountability and protect children, then the same failures will continue. 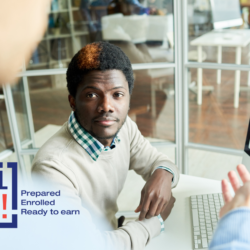 Staff uncertainty about applicable laws, regulations, and/or policies can no longer be an excuse, as the OCA report spells out the 12-hour verbal and 48-hour written requirements for mandated reporters’ responses to incidents. Rethinking and redefining oversight of how these mandated reporters take this seriously are crucial steps. But that alone is not enough. A key component of the current system is its culture. As evidenced by the OCA report, Hartford’s culture is one of avoidance and protection. OCA reported many times that staff did not come forward with reports because they either did not know they had to, because they feared nothing would be done (or that union-based due process processes would drag on and cost a lot without any meaningful change, or they feared reprisals. Some opted to report anonymously, but that should not be necessary. Teachers and staff should not fear reprisals for doing the mandatory reporting required of them by law as has been the case for over a decade. One thing this report makes clear: The system’s bad design produces precisely the type of devastating results revealed in this report. So how should we go about changing the system? Efforts to simply ensure compliance only go part of the way needed for true systemic change. For Hartford to become the city we need and HPS the district our children deserve, the system must have a culture of real accountability, both personal and collective. And culture starts at the top. But how high up? You may ask: Is transforming education governance really necessary, or can responsibility for changing culture be placed at the heels of the next superintendent? If the person in charge says, “This stops now,” as interim Superintendent Leslie Torres-Rodriguez has stated, shouldn’t that be the level from which change filters down? Our answer is No. The superintendent level is not the right level for culture to be set, not if we want change to actually happen. Many of the recommendations in the 2017 OCA report were available for HPS and Hartford District leaders back in 2010, when a similar commitment was made to change culture within the school district. The school district has proven itself to be incapable of self-monitoring. For real accountability, change must be driven from the level of governance. The same way the Mayor asked for the Office of the Child Advocate to launch an investigation, there must be a city-level push. We recommend a combination of City Hall, City Council, and Board of Education members come together to launch a regular method to monitor the school district’s performance, in order to drive accountability for change, regardless of who the next Superintendent is. Accountability starts at the top and must reach all the way to those on the front-lines with our city’s students, who need to know that when they report something, it will lead to actual consequences. First, the next superintendent must have a track record of holding employees accountable who have not met the standard set for them, as this will demonstrate the backbone needed to change the culture from “Avoid and Protect” adults to “Compliance,” and then to “Student Centered.”If any of the current candidates for superintendent is found to never have given a poor review of an employee, to never have removed any employee in his/her charge, how can they be the advocate for Hartford children we need him/her to be? Second, the next superintendent must have a disposition towards transparency. Data should constantly be released, whether it casts a positive or negative light on the performance of the system. Hartford has struggled with this, with constant internal discussion on what should and should not be released to the public. Any trust the school district has earned over the past few years has now been eroded, making the release of data more critical than ever. This includes academic data, principal attrition data, teacher discipline data, student discipline data, and so much more referenced in the OCA report. The release of data will be one way to prove that accountability is embraced by the district. Third, the next superintendent must have a track record of change management in a large organization. Not just management experience, but change management experience. Hartford is not looking for a caretaker for its schools, or even an education reformer. Hartford needs a revolutionary: someone who is willing to rethink the way things have always been done, and perhaps partner with the teachers’ union to rethink the contract in key ways, partner with DCF to provide preventative supports to students and their families, change the way schools are evaluated to include much more student voice, utilize youth development specialists throughout the city to change school culture, and so much more. The point is that Hartford must vet its top three candidates in a way that puts the OCA report front and center. The current interim superintendent, Dr. Leslie Torres-Rodriguez, has put a line in the sand and voiced a need to make serious changes, to her credit. The real work, however, has yet to begin. We urge the search committee to use the findings of this report to guide their evaluation process on behalf of all Hartford kids and families. This crisis is not the result of a failure to remove a few bad apples. Hartford has a culture of “Avoid and Protect” that is harming Hartford children in both individual and institutional ways. Laying out bold and unachievable goals, as has been done in the past, will not cut it. Any “plans” developed in response to this crisis must be operationalized and key city leaders need to step up as education leaders to make sure they are. Taking cues from the scathing OCA investigation and audit (and 2010 OCA/AG statewide report), Hartford must address deeper failure points to prevent future problems. Rethinks the role of the Board of Education as people positioned to monitor the health of city’s largest investment; after all, with five of the nine Board members being his direct appointments, the Board of Education is his to influence. Negotiate in new collective bargaining agreements improved provisions to ensure protection of children. Again, regardless of who the next superintendent is, there is a role that must be expected from those at the top of the education pyramid in Hartford. That hierarchy is determined by our city charter, and we must begin to treat our elected and appointed leaders as those in charge of holding the standard for our children, even when they are just volunteers. A finding well-supported in the OCA report is a clear tension at the school level between the desire to report and the desire to handle things internally without reporting. The good thing about a law is that it is black and white, but a law is only as good as the effort to enforce it. What is at stake here is the culture of an entire city that will continue to be characterized as one that promotes what is easy, instead of what is right. We can no longer pretend we provide a good – let alone high quality – level of education in Hartford. We can no longer take the path of least resistance when attempting to improve our schools. In one example cited in the report, an unnamed principal, faced with multiple complaints about a serial-abuser teacher, responded by assigning a substitute teacher to act as a watchdog in that classroom. The threat of paperwork cannot trump the need to do what is right, because culture is what matters most. There is a reason things have gotten so bad that, after skating past sexual harassment incidents at SMSA and an investigation for ethical violations in New York, Eddie Genao took his earnings up to $176,000 in central office where, in his last post, he became the executive director of (special education) compliance, a post that required him to be in charge of the very State-required policies Hartford was failing to carry out. That is no accident. Hartford’s bad design produces precisely the type of devastating results revealed in this report. 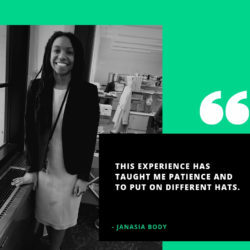 All in all, given the monumental investment we as a city make in education, our children need each and every Hartford leader to become a Hartford education leader. Nothing less will do. Business as usual in Hartford is over. 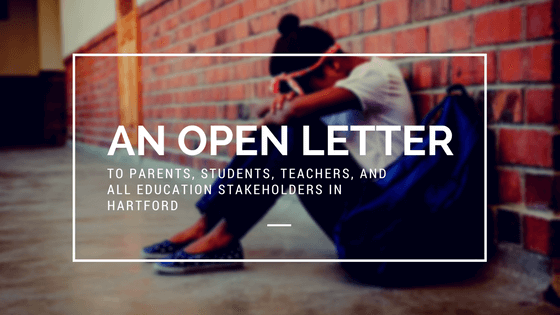 You can download a full copy of the open letter here : Achieve Hartford Open Letter OCA Report.